On this episode of The Oxford Comment, we explore the social, economic and psychological issues that families face, when providing meals year-round, especially during the holidays. From parent-shaming to the expense of eating organic, the food we eat says more than meets the eye. With the help of the authors of Pressure Cooker: Why Home Cooking Won’t Solve Our Problems and What we Can Do About It we tackle the million dollar question; how do families approach the conversation of food? Featured image credit: Farmhouse tableware by Hannah Busing. Public Domain via Unsplash. 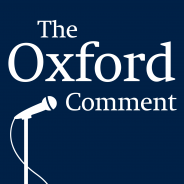 Episode 50 of The Oxford Comment was hosted by Katelyn Philips, Marketing Coordinator at Oxford University Press. This episode was produced by Nicole Piendel (Executive Producer/Editor) with Marissa Lynch, Mackenzie Cutruzzula, Victoria McPherson, and Katelyn Philips (Associate Producers).